﻿On each Breeder's page we have invited the Breeder to write a little about themselves and you will also find their telephone number if you wish to call them. Only fully paid up Breeder members shall be allowed to advertise their kennel/pups within the BUKS website. For more details/prices of pupsplease contact the Breeder direct rather than through the Society.You will also find most of the Breeders on Facebook and the Boerboel UK page on Facebook too. 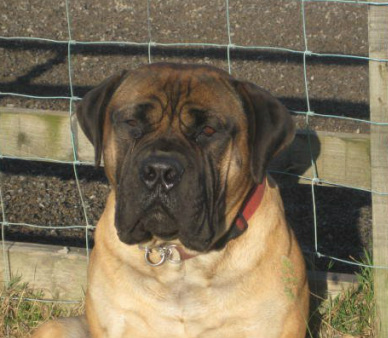 The breeders who appear throughout this website are merely breeders that Boerboel UK understands may have litters for sale. In providing you with their details, BUKS makes no representations as to the reputation of any breeders or as to the soundness or suitability of any puppy you may decide to acquire from any breeder. You must satisfy yourself that any puppy you may decide to acquire is healthy, sound and meets your requirements. BUKS accepts no responsibility in respect of any puppy that you may acquire from any of the breeders who advertise on this website. All breeders who appear on this page are current members of BUKS /S.A.STUDBOOK and have agreed to abide by the BUKS Code of Ethics.